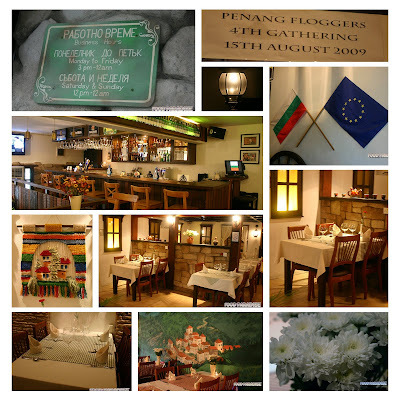 Before year 2009 ends, I tried my best to blog all the gathering folders in my draft as much as possible. ^-^ So today I am going to blog about the recent events that took place on 18.12.2009 in Fun Tea Garden to celebrate Criz Bon Appetitie 2nd anniversary. Once we arrived, we had the chance to pick two cards from Criz for lucky draw. Every attendance is entitle for the complimentary meal from various outlet. All the three noodles have it different kind of aroma and taste. I was thrilled that they have many different types of noodles. Apart from what you see from the above, they still have other choices. I am surprised to get to taste the egg tart being served here. As it is still hot. It's been few years that I never get to taste a piping hot egg tarts. 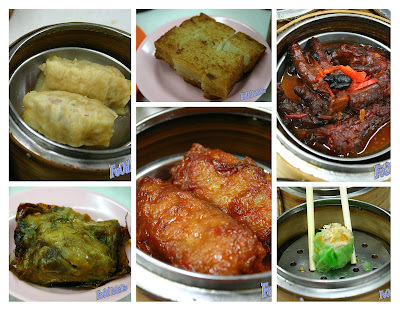 Location: 150 & 152, Jalan Dr. Lim Chwee Leong, 10100 Penang, Malaysia. Took this photo this morning from SiTigun, suddenly it flash my mind that I could use this to wish all my readers, friends and families, "Merry Christmas" and "Happy New Year 2010". Since today is a Christmas eve and I would like to share some good news with all my readers. I just get an email yesterday from Nuffnag. They have Nuffnag Facebook Fan Page @ http://www.facebook.com/nuffnang. If you have not add them, perhaps you can add them now. As they will be giving out goodies from time to time. Blog and Win a Trip Down Under with flymas.mobi - as easy as 1,2,3! You might be wondering what is this all about? Well, thanks to Malaysia Airline, now we can booked and checked detailed flight through our mobile phone with web access anytime and anywhere. It is very simple, just type http://flymas.mobi/ to access. It is that simple. Furthermore, you can check in via sms if you using high ends phone (such as iPhone, Blackberry, Android devices), find the nearest MAS office worldwide through Google Maps, baggage tracker, flight status, deals and offers...........and more. Try it out now!!!! If you want to know more information, you can get it from here. 1st Prize: 2x Economy Class Return Tickets to Sydney/Melbourne. 2nd Prize : 2x Economy Class Return Tickets to any destination in ASEAN. 3rd Prize: 2x Economy Class Return Tickets to any destination in Malaysia. What you need to do in order to win the fabuolous prize? Just blog about flymas.mobi service in your blog and show how easy is to book your flight with MAS. Then title your blog post: ‘flymas.mobi – as Easy as 1, 2, 3’. And send email to flymas.mobi@nuffnang.com with your full name and permalink of your blog post. Viola! that's all and you have complete enter the competition. The competition ends on 11.59pm 30 December 2009. So act quick to win this fabulous prize. I would like to wish all of you "Good Luck" and "Merry Christmas". 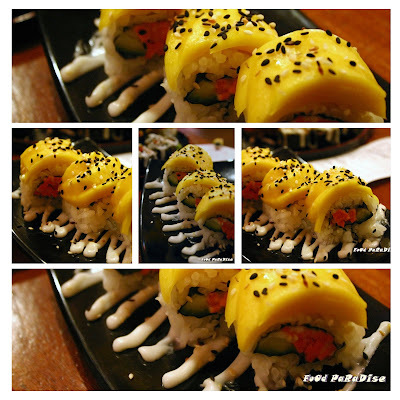 Have you ever tried vegetarian sushi before? I mean pure vegetarian and no sashimi or tuna. I never tried it before. This is my first trip to Sushi Kitchen. And I get to savour different types of sushi that make from healthy organic foods. Lately, you will see many people are going after organic foods for a healthy life style. 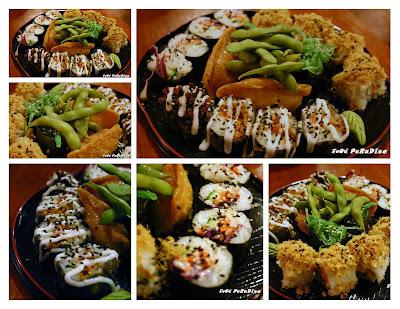 Today, I am proud to present you some healthy foods that you could get from Sushi Kitchen. Which is located next to SJK(C) Chong Cheng. 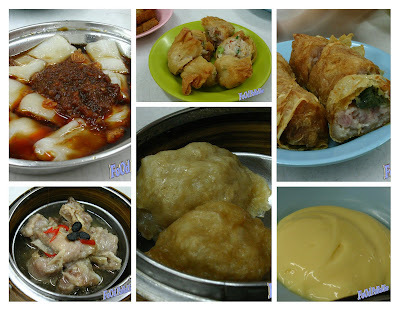 It shares the same row of Bee Chin Hiang. Which is a place where you get to relax and enjoy yourself. I think it is quite a nice place to catch up with friends, families and relatives. There are books, magazines, chess and...... that you could borrow to reads and play while you dine in there. This is one of the recommendations from the waitress that took our order. After some discussion, we decided to order this to try. And it is indeed a nice try. I believed that it is some combination of sweet potatoes, yam and......... It is deep fried and coated with some mayo. If you like potatoes, you would definitely love the textures of this dish. This is an order by Allen as I think he is a "rice" person. Cant go without rice. Anyway.... he make a nice choice and a healthy one. As the rice used is brown rice. So you will taste something different from our ordinary fried rice. Some might find it a bit blunt. But it's ok for us. And the seaweed fried rice came with a small bowl of miso soup. The soup is quite tasty. This is an order from Carrie. 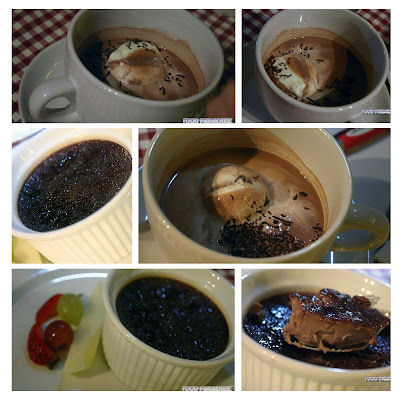 This is a sweet dish. The sweetness came from the sweet potatoes itself. 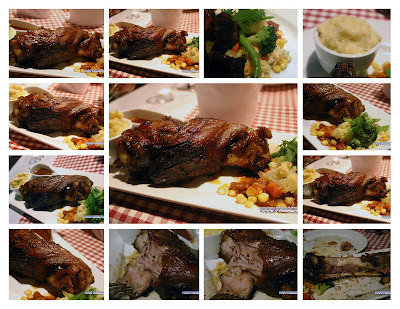 We were hurry by her to take the photos of this dish ASAP as she told us that this dish had to be eaten while it's hot. Then we have to rush taking the photos of this sweet potatoes noodles. 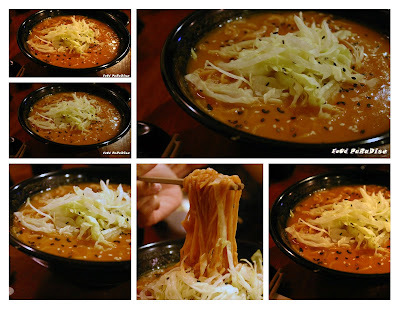 The dish name resembles to the taste of the noodles. It is sweet. Something different that I never tried before. The noodles are ok. Thought it would become lumpy after a while. But the textures still there. 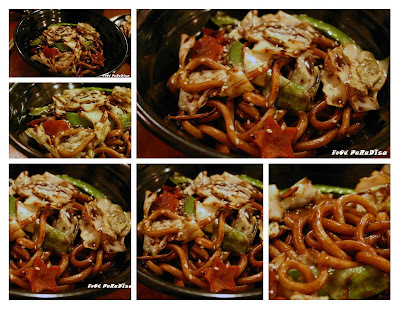 Give it a try if you are adventurous enough to try sweet noodles. This is my order that I asked the waitress to recommend. And she asked me to try the fried udon. I like the textures of the udon. It is not salty and have a nice combination of various vegetables in there. And the nice cutting shapes of carrot and heart shapes are adorable. One thing that I have to comment about this dish is to be aware that it is cook with deep fried ginger slice. If you cannot take ginger than perhaps you could omit this dish. And it is indeed very refreshing and nice combination. It is mouth watering...... If you love mangoes you would love this. You can give this a try. 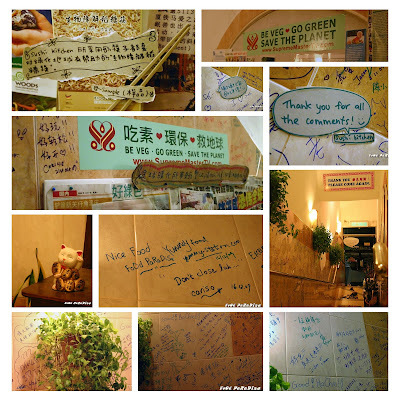 Comments from customers were written on the wall. (Can you spot ours?) Also some healthy tips were paste on the wall and information about the boss of sushi kitchen can be found on the newspaper that was paste in the wall. 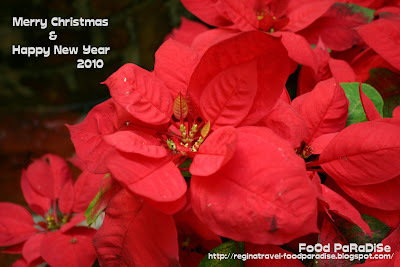 Before I end this post, I would like to wish all my readers "Merry Christmas and Happy Holiday". 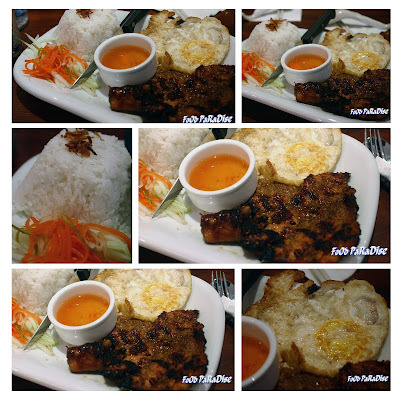 Du Viet Restaurant & Cafe @ Suria KLCC, Kuala Lumpur. During our second day in KL, my sis gave me a call and asked me to pick her up from the KLCC LRT station. So we decided to have lunch there after met her. And since she just attend the morning wedding ceremony, she was quite full with all the foods that she had from the groom side. So she asked us to proceed with our lunch. Since the doctor asked us to let my gal to have non-spicy foods, so I recalled there is one Vietnamese Restaurant there. So we decided to give it a try! Nancy browsed through the menu and saw Three Colours Delight in the menu and she was so thrilled and decided to order one for herself. As this is one of the drinks that we will usually ordered in Vietnamese Restaurant back in Melb. 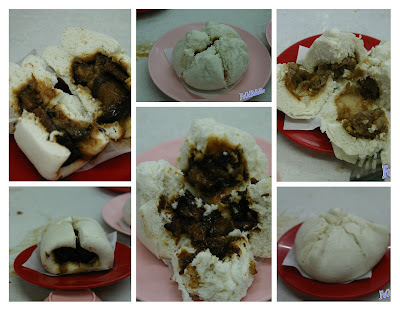 Which we called it "Sam Sek Peng". Hubby decided to order spaghetti chicken and prawn for himself as he does not want to try the "Pho" in Malaysia anymore. As so far he cannot find one that suits him. ^-^ So for the safe side, he decide to get spaghetti. And the spaghetti turn out to be delicious. When it is being served, I am quite worried that hubby will not like the taste by the look of the spaghetti. But he finished all and told us that it taste nice. And I get the chance to try some. Which I think is nice if you like basil very much. As there are lots of basil in there. I ordered this for myself. As I feel like trying their rice. 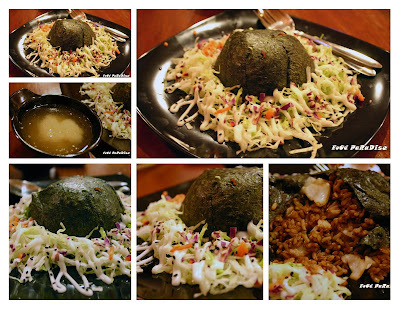 As back in Melb, occasionally we will ordered "broken rice" in Vietnamese restaurant. So decided to try this out. The rice is different but anyway it turn out to be nice. The lemon grass chicken chop is very tender and full of the lemon grass aroma. I ordered this for my gal since the doctor asked her to have something mild and light. 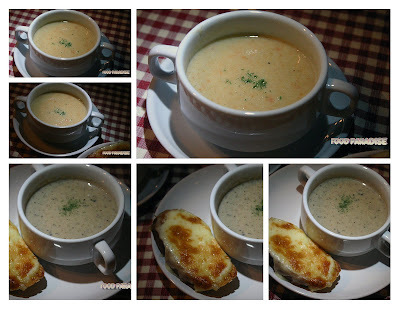 After few spoonful of this, she stop and told me that the soup is something different and she does not like it. So I swap with her and she took my rice. So end up I have noodle by myself. Hubby try some and also reckon that the taste is a bit awkward. lol But anyway..... I enjoyed it. And I finished all. Overall, the foods are ok but the drink that we ordered are a bit disappointed. 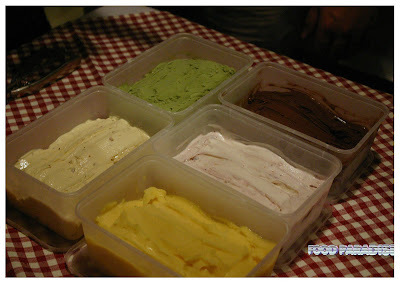 ^-^ If you like to try out the above foods, you can drop by to Lot 416, Level 4, Suria KLCC. Before I end this post, I would like to wish every one "Happy Winter Solstice" and "Happy Dōngzhì". 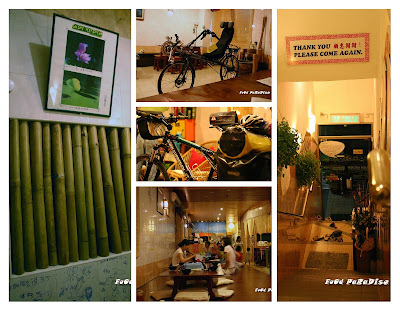 We have been to Hai Boey Seafood for dinning since it's first started many years back. You can see that they have been upgrading themselves from a very small restaurant to a bigger restaurant now. 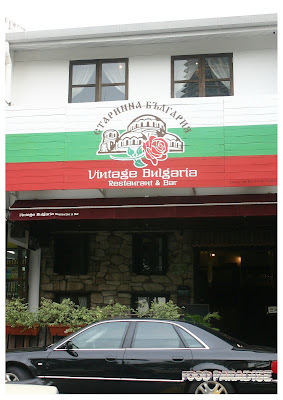 Although we came here for many times but my MIL and family members never been here before. So hubby decided to brought them here and try out their foods. We have been ordering this for many times. As we found that it is nice. But please be extra careful as there is a small tiny stick in there. If you have child or elderly people who dine with you, please remove that for them. This is the combination of tang hoon and bee hoon. 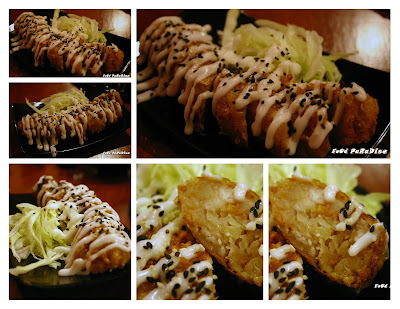 During one visit with friends, we found out this dish and hubby falls in love with it since then. So he ordered this again for my MIL to try. 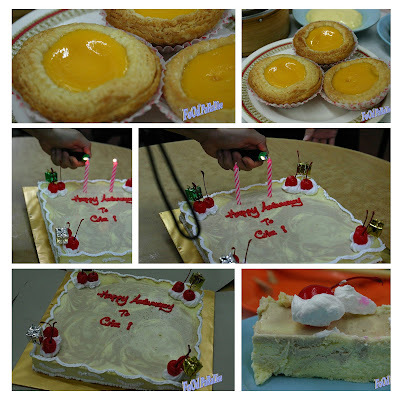 She loves it as she comment that it is not oily at all and nice taste. We ordered this before, but back then it was topped with small abalone. From my memory, I think the waitress did mention that it is top with mushroom. I guessed either they run out of small abalone or they decide to use mushroom to cut the cost. But the bean curd is nice and silky. When each time I saw this dish, it makes me recall Chinese New Year. 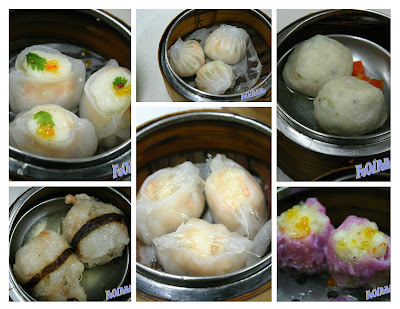 As normally you will see this type of dish in the menu during Chinese New Year in most of the restaurant. This dish turns out to be nice and not salty at all. 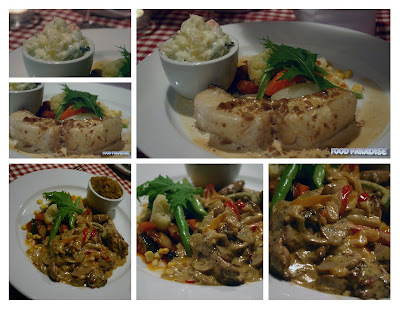 And the braised mushroom is very tender. As for the dried oysters, it has the right taste. Not too soft nor hard. Nice combination. Overall, we love this place. As we reckon that it is quite a nice place for foods and scenery. Occasionally, we will bring some friends and families there. For location, please refer here. My previous visit can be view from here and here. Famous Ah Leng Char Koay Teow @ Jalan Dato Keramat, Penang. 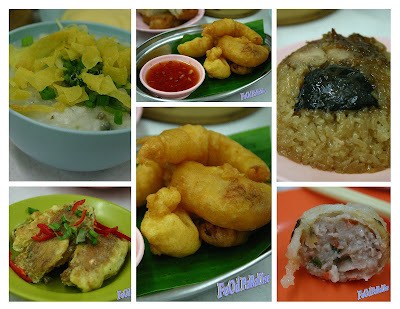 There are too many foods in Penang that visitor's would like to taste. And one of the hawker foods, they usually would like to taste is the Char Koay Teow. As if you visited some part of Malaysia, you will always saw that the hawker or restaurant there wrote "Penang Char Koay Teow" or "Si Ham Koay Teow" (means Koay Teow with clams). I remembered that we went there around 9am and it is on one weekday. It seems like "Ah Leng Char Koay teow" just started their business of the day. So hubby went and order two plates of koay teow special. As I told hubby that I must try the mantis prawn and prawn char koay teow as it is the very "popular". Wah.... when the chef is busy cooking the char koay teow, I already cannot resist the aroma. 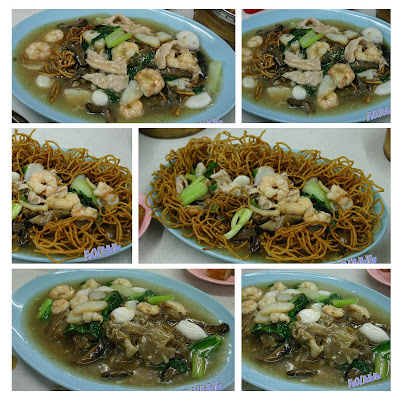 If you like dry version of the chr koay teow, then you will definitely love this. But I found that the serve of koay teow is too small. hahhahaha...... but there are big prawns and mantis prawns. Hubby found that it is quite spicy for him and I am sure that my gal cannot take this plate of CKT as it would be too spicy for her. As I mentioned earlier that the koay teow's serve is quite small, so cannot filled up my hubby tummy. So he saw a stall there selling Hokkien Mee. So he went and order one for himself. The hokkien mee is quite nice. And quite spicy too. But we love the soup base and also the black soy sauce pork added in the hokkien mee. 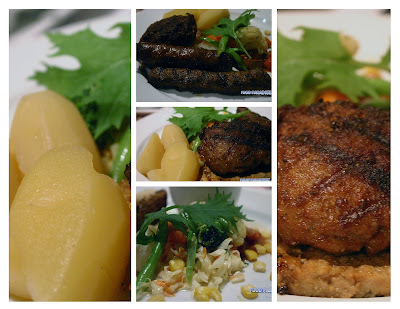 It is very tender and delicious. I saw the table next to us went and ordered extra black soy sauce pork in their hokkien mee. So I guess, this is one of the "popular" side dish to add-on. Apart from the hokkien mee stall, there are also economy rice stall that are operating when we dine in there. Perhaps in the afternoon, there will be more choices. Location: Kafe Khoon Hiang, Jalan Dato Keramat. 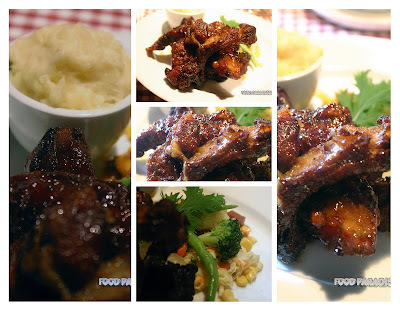 After refurbishment of Yummy Cottage, hubby wants to try out the foods there. But seems like each time we passed by the place, it's full of people. So we decided to try out during one weekday. As we arrived there before lunch time, we had no problems in searching a place. Hubby loves noodle a lot. 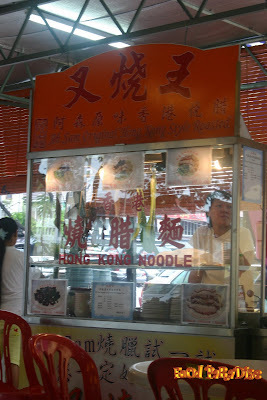 That;s why he goes after the noodle and also with the name " Hong Kong noodle". 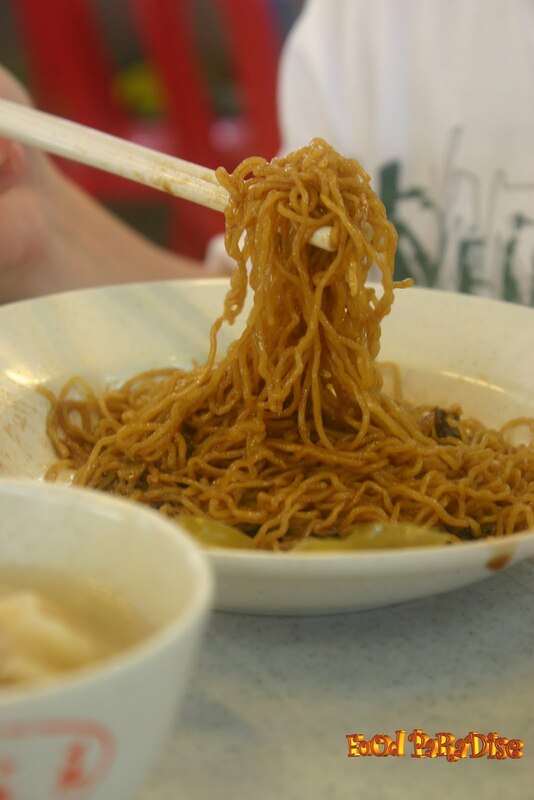 It is exactly like our wantan noodles. 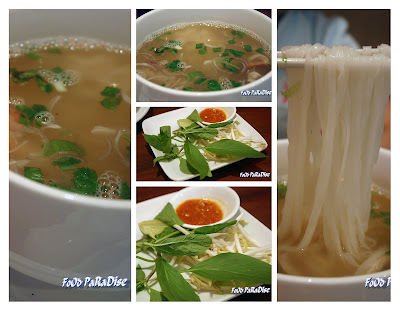 The noodle are springy as can have a look of the photos. This is the wanton comes with the Hong Kong noodle. When hubby had wantan noodle. He will usually give away the wantan to me. As he is not fancy of the wanton. Unless the one that make by him. Hahahhahahaaaa....... The wanton is normal. I have been wanna to try out the chicken rice here before they refurbish. When I first try out the fish head noodle soup, I saw that many people order from this stall. 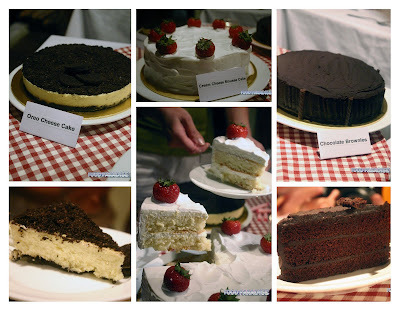 And some blogger blog about this stall before too. The chicken were tender and nice. The sauce are amazing. It's totally different from the usual one. As some of the sauces are too watery. Remember to try their chili sauce too. Something different from the ordinary chicken stall. The chicken rice has a very rich chicken aroma.